I's only 2hrs 50mins (in current traffic) and Â£28.90 in Fuel Costs. Congratulations, the sign is the perfect finishing touch. Thanks for posting those, GB.....I'll go back and have another look later. This cruddy PC has got a real mind of its own at the moment. Shouldn't look at small text before my eyes have woken up. I read the 'Transporter bridge' as 'Trainspotter bridge'.....Double take time ! I always found my minis in 3D ! Good idea gingerbhoy, thank you ! The dog is a peasant. The cat is a gentleman. I await with baited breath for the next stunning instalment! Here come the fish puns again. I have not the pleasure of understanding you. Of what are you talking? "That so reminds of Battlefront back in the day at Porana Road when I had the job as production manager." I captioned the photo's as I linked the blogpost to the new free-to-download wargaming e-Zine "Wargames Bloggers Quarterly", not as an article, but just for something for the Google and Facebook community to read on the go. I wanted to take more photo's of the Boro, but I didn't want to make people jealous and plan on moving up here. 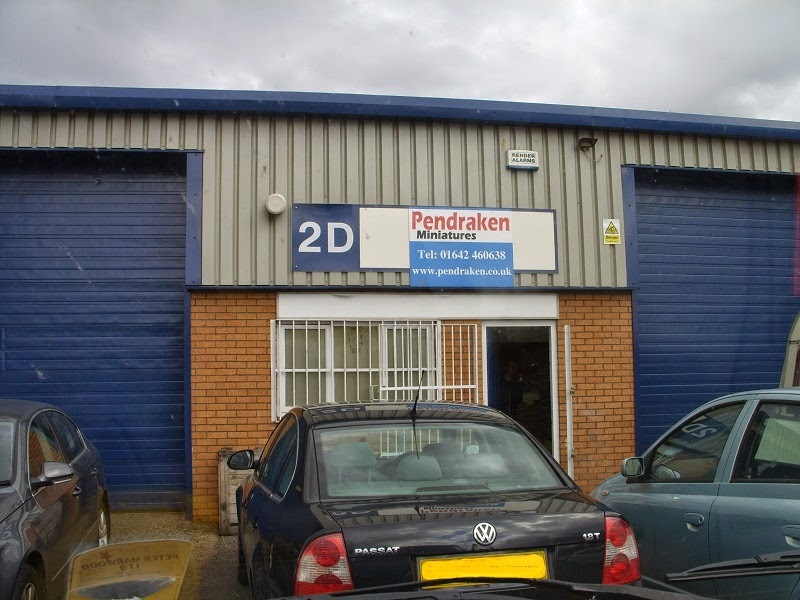 Nicely done - good to see Pendraken HQ in full-flow in its current state. One day I'm going to scare everyone silly & just turn up to make an order.